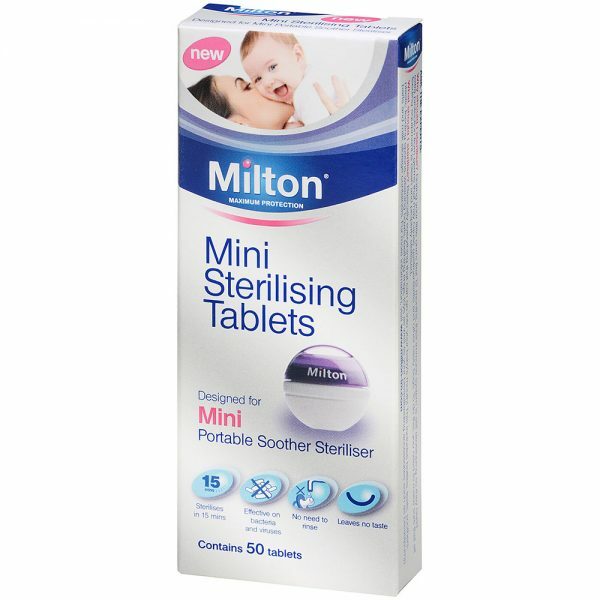 Milton is a sterilizing tablet that allows you to sterilize your Sileu menstrual cup in cold water in just 15 minutes, producing the same effect as if you boil it. It is not necessary to rinse the cup after sterilization. Milton is designed to destroy 99.9% of the germs (bacteria, fungi and viruses) and its solution remains sterile for 24 hours, so it can be reused throughout that time. Convenient for disinfecting baby items such as baby bottles, teats, pacifiers, teats, and your menstrual cup. How to use Milton with the menstrual cup? Clean the menstrual cup as you usually do. 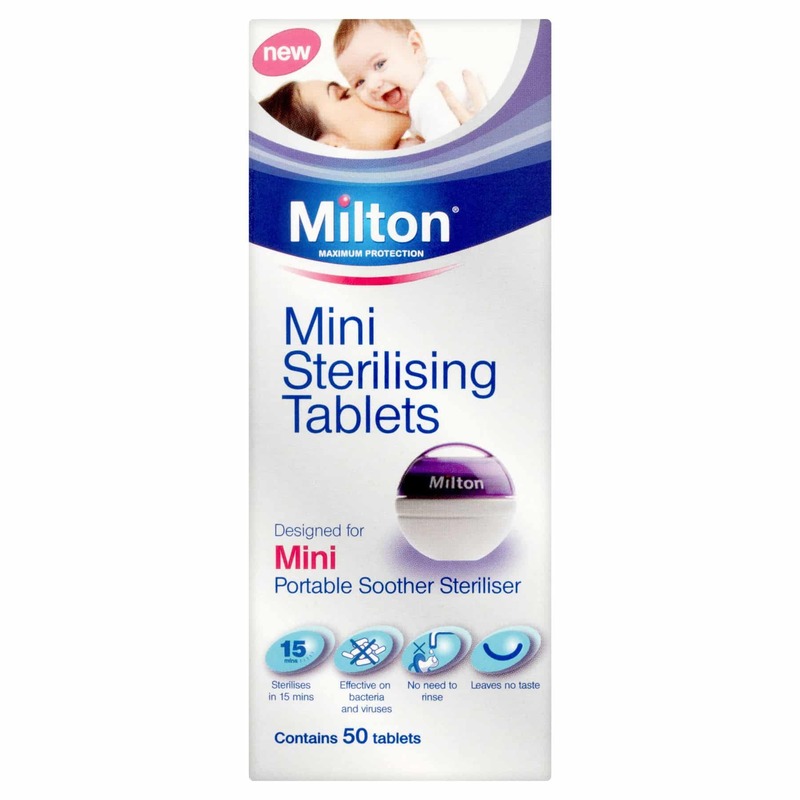 Dissolve a Milton tablet in about 100 ml of cold water, for this, you can use our folding silicone sterilizers, as they are ideal for this use. 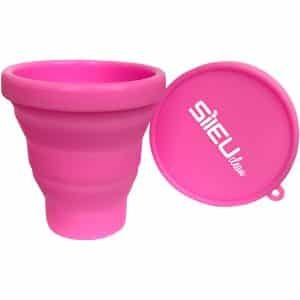 Completely immerse the menstrual cup inside the sterilizing solution, avoiding leaving areas in the air. After 15 minutes, wash your hands and remove the menstrual cup from the solution. Leave it to dry and ready to use. – You avoid the risk of burning your menstrual cup when boil. – The cup will recover to a large extent its original color since they usually acquire a reddish tone by its use. 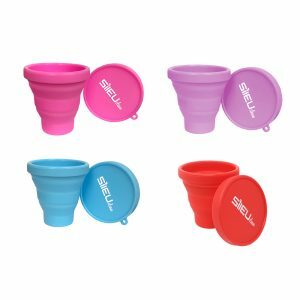 – It is ideal when you are traveling or camping, or you are simply away from home or at work, as it gives you greater flexibility and the possibility of sterilizing your cup whenever you want. – You can leave the cup in the solution for up to 24 hours and remain perfectly sterilized during that time. Bactericidal: in 5 minutes EN 1040, in 15 min EN 1276 (including SARS). Effective on Listeria, Salmonella and Campylobacter. Fungicidal: in 15 minutes EN 1275, EN 1650 on C.albicans (agent responsable for thrush). Virucidal: in 15 minutes on Poliovirus type 1 and Adénovirus type 5 according to the protocole of EN 14476+A1. Effective on sur Coronavirus and Rotavirus.